I’m very pleased to announce that our trial podcast episode received such positive feedback that we’ve decided to make it a regular feature! Podcasts will be fortnightly to begin with, and will increase to weekly as soon as we can pay our editor, currently a volunteer, $15 an hour. Editing a podcast twice a month is already a big favour; doing it weekly becomes a job and deserves to be compensated just as our writers and administrators already are. We can justify a weekly podcast once we reach $900 in Patreon pledges and can spare at least $120 a month in editing fees. We are, at the time of writing, just $52 away from this goal. Thank you to everyone who gave us feedback and suggested future topics (which you are still very welcome to do). We already have two new episodes edited and ready to go, and have scheduled in more recording sessions. We’ve all really enjoyed the process, and are thrilled that you’re enjoying the results of our work! 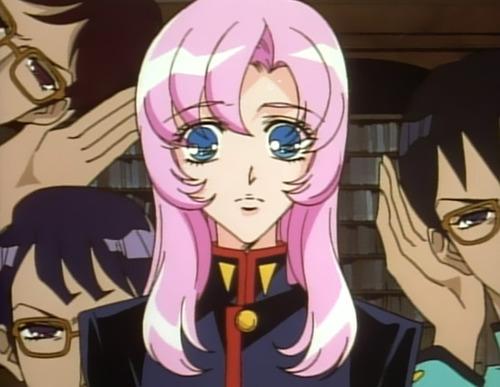 In its 20th anniversary year, Caitlin, Dee and Vrai talk about a series they have all loved and analysed for many years: the game-changing Revolutionary Girl Utena. 0:00 Intro: How did everyone first watch Utena?